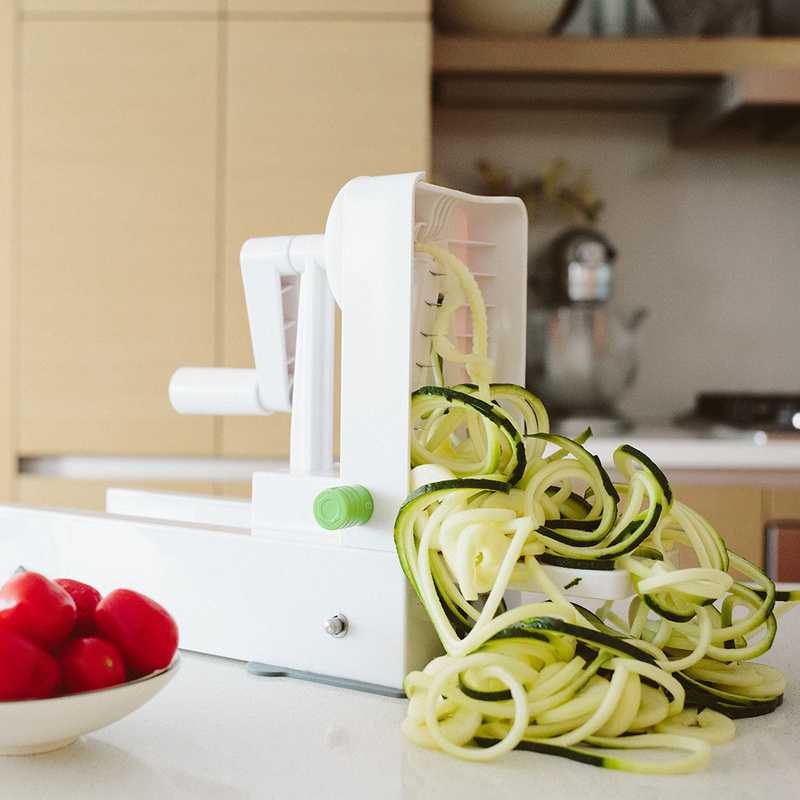 Ali Maffucci, 27, has turned zucchini noodles into a mini empire, including a blog, a cookbook and her own spiralizing tool. They even helped her lose 25 pounds and get the attention of Under Armour. She started her blog to share tips and recipes for the vegetables and fruit that she “spiralizes” into ribbons and noodles for her favorite dishes. And last month, she published the Inspiralized cookbook with vegetable-buying and prep tips and 85 healthy recipes ranging from blueberry-sweet potato waffles to spicy jicama strings and shrimp daikon pho. We recently caught up with the new entrepreneur to talk about how she got her start. What were you doing before you started your blog? I worked for three years at a Trump golf course doing hotel and event management, then for a year doing business development for the airline industry. It was all very corporate, not my passion at all. I made a dish using the spiralizer for my fiancé, and he jokingly said, "You should quit your job and start a community around this." A couple of months later, I did quit my job. The next day, I went to a coffee shop in Jersey City, bought inspiralized.com and started from scratch. In retrospect, I should have had a business plan! How did it become a business? It’s a combination of paid ads on the site, my book, the new tool I developed and sponsored posts and affiliate links. I gave myself a year to try to make a go, and it was just so well received and spread so quickly that I haven’t had to look back. It’s such a blessing. How does the fitness piece connect to all of this? I went from commuting to work to sitting at home snacking and eating unhealthfully as I struggled to adapt to working at home on my own. When I got my cookbook deal, it was a flash of reality. I thought: I can’t promote my book if I’m not feeling great. So I said, "I’m going to enlist all of the people who have been so supportive, and I’m going to Instagram a selfie every time I work out so I can track my progress and feed off the energy of all of the people supporting me." Under Armour caught on and started sponsoring me with workout gear. If you take a picture of yourself, even if you don’t post it but just keep it in a folder on your computer, you’re so much more motivated when you start to see changes. It’s hard to see every day, but when you look back at pictures, you see a difference.